…You are splendid, limpid daughter of the heights! 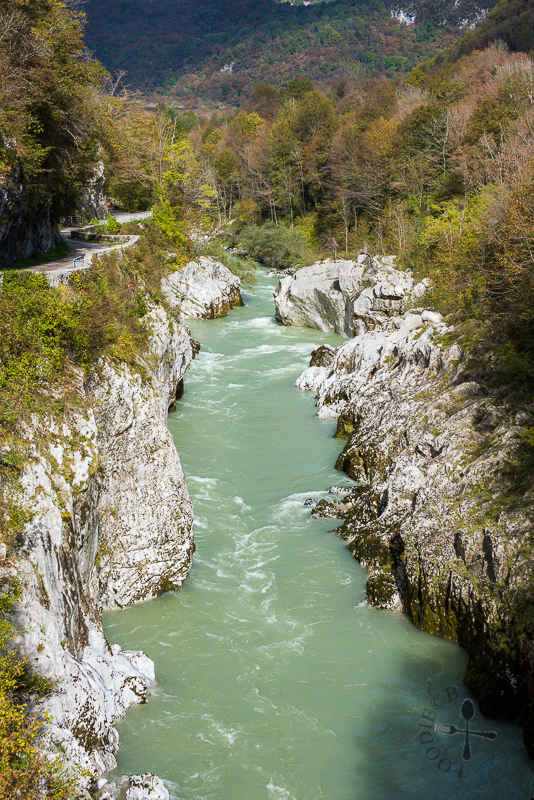 After our morning hike at Tolmin Gorges, we headed off for a scenic drive along the Soča Valley, stopping at a few places for photos and short hikes. 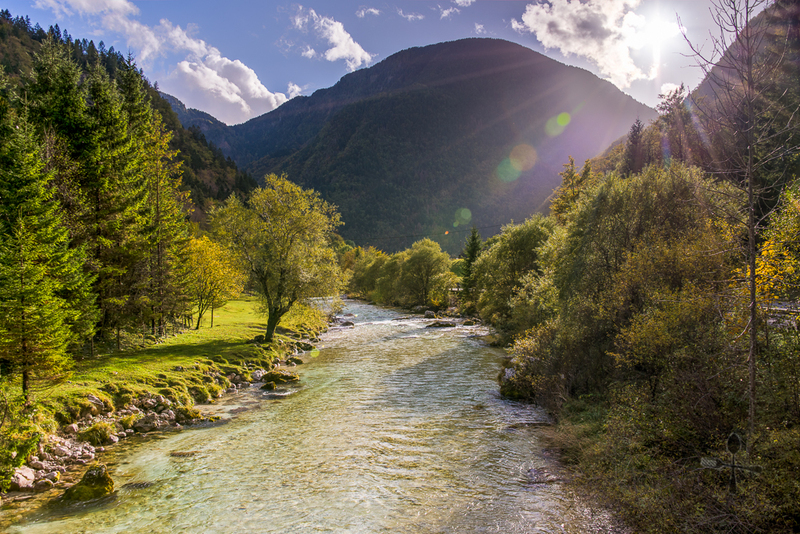 Soča is a 138-kilometre long river – the source of the river lies in the Trenta Valley in northwestern Slovenia, where it flows 96 kilometres through western Slovenia before flowing 42 kilometres through northeastern Italy, and emptying into the Adriatic Sea (in Italy, the river is known as Isonzo). There was fighting for that mountain too, but it was not successful, and in the fall when the rains came the leaves all fell from the chestnut trees and the branches were bare and the trunks black with rain. The vineyards were thin and bare-branched too and all the country wet and brown and dead with autumn. 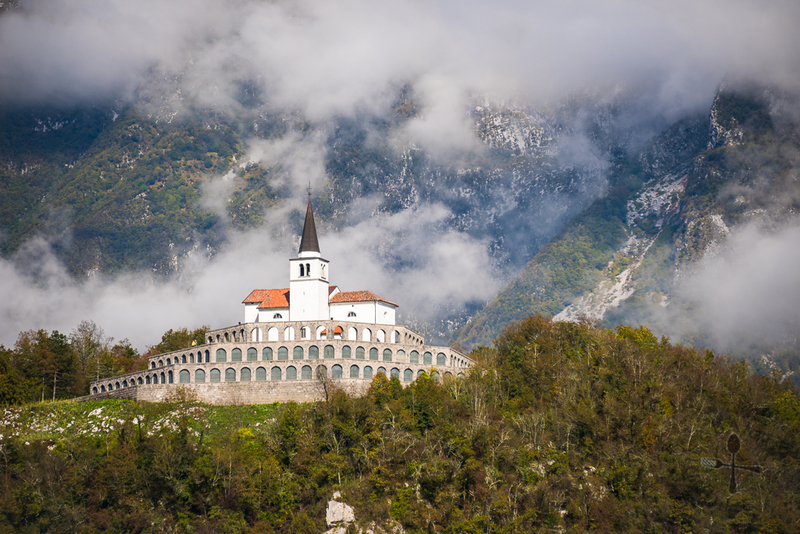 A century ago during World War I, the Soča Valley was part of the Isonzo Front, where a series of twelve battles between the Austro-Hungarian and Italian armies took place between June 1915 and November 1917. 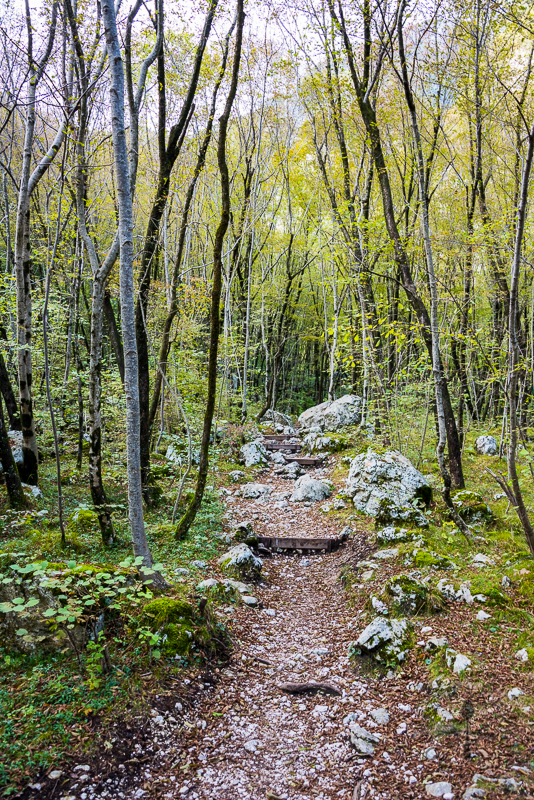 To preserve the historical and cultural heritage of World War I, the Slovenian Government has developed a programme named “The Soča Region – The Walks of Peace” in 2000. It is a 5-part trail (each part takes one to two days) which covers the major and important historical sites of World War I. One of such sites is the Italian Charnel House, which was opened in 1938 by Benito Mussolini. It is a 3-tiered, octagonal structure which surrounded the church of St. Anthony. 7,014 known and unknown mortal remains of Italian soldiers who had been killed during World War I were transferred to this charnel house. Not far from the Italian Charnel House lies the Napoleon Bridge – originally made of stone in 1750. It got its name when Napoleon’s troops marched across it on the way to Predel Pass in 1797. The bridge was blown up by the Austrians during World War I, and was later re-built by the Italians into an iron bridge. 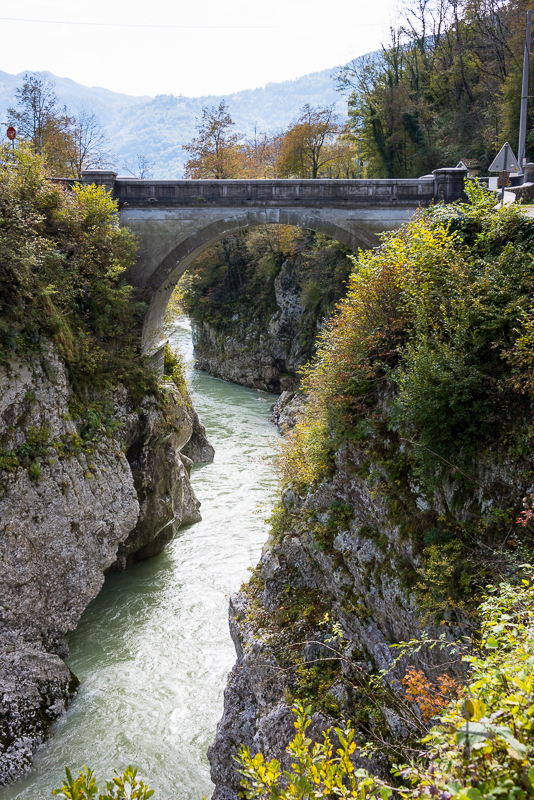 During World War II, the Partisans defended the Kobarid Republic here and to commemorate these events, two monuments have been placed beside the bridge. After about 20-minute drive from Napoleon Bridge, we reached another short hiking spot, Boka Waterfall. 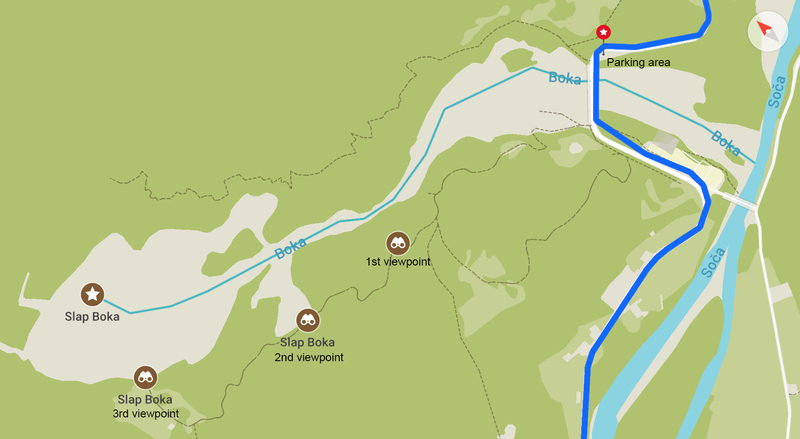 There’s a free parking lot at the start of the hiking path near the bridge across the Boka River (46.31832, 13.49486). 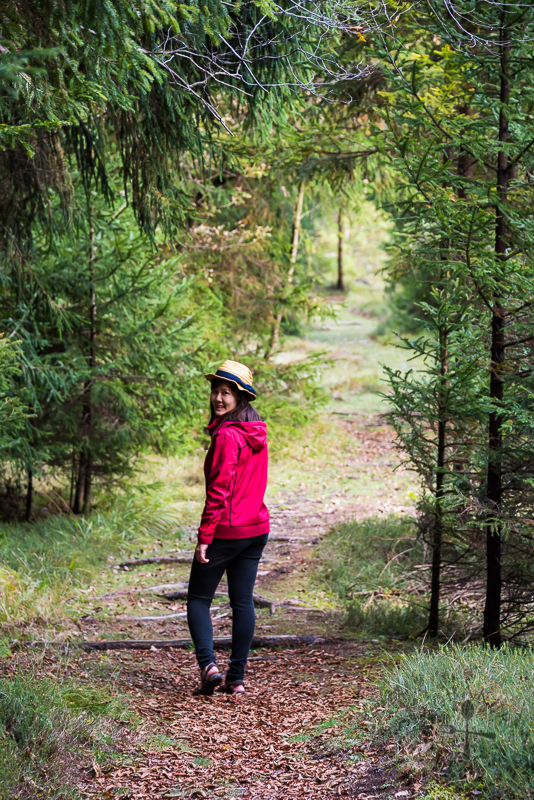 We hiked through the woods to the lowest viewpoint, which took us only about 15 minutes (one-way). There is a wooden platform at the viewpoint for photo-taking. 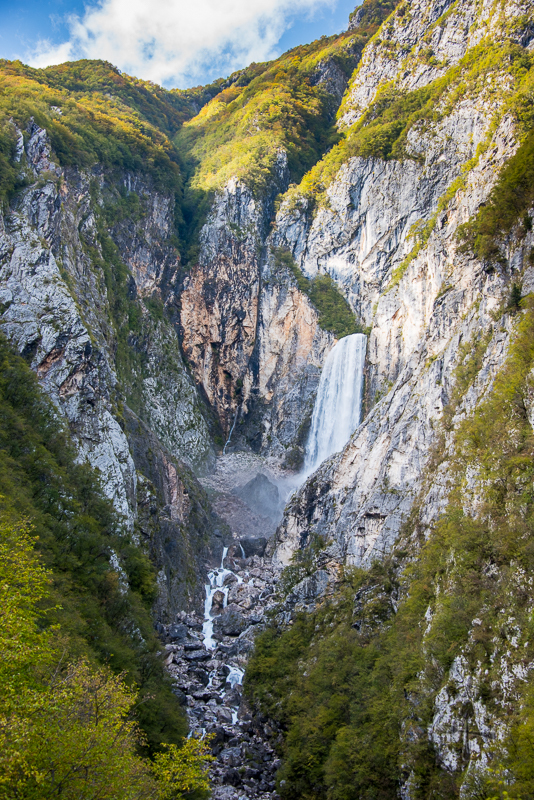 The source of Boka Waterfall comes from a karst spring that is underneath an almost vertical limestone wall. Karst is an area of land usually made up of limestone. Karst landscapes usually feature caves, underground streams and sinkholes on the surface (e.g. Škocjan Caves). Karst spring is a spring formed by the natural resurgence of groundwater, usually with a very large discharge. 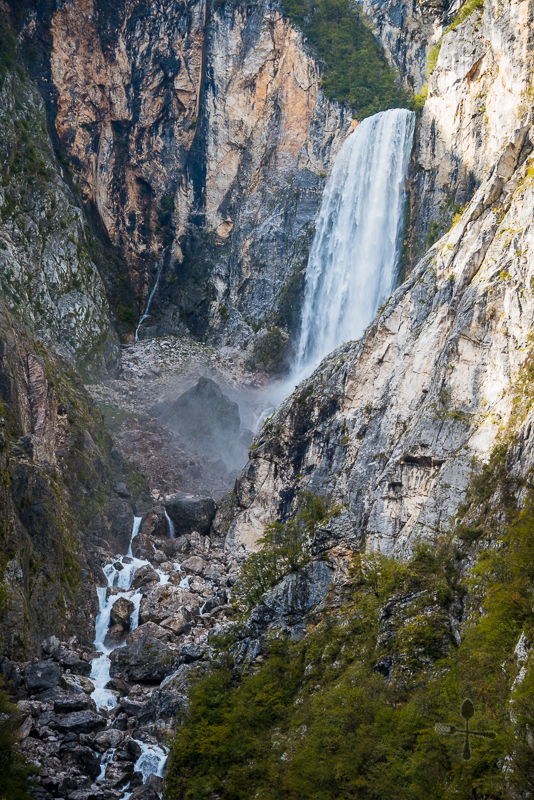 Boka Waterfall falls freely for 106 metres, and together with the shallower bottom falls, the waterfall measures 136 metres and is the highest waterfall in Slovenia. 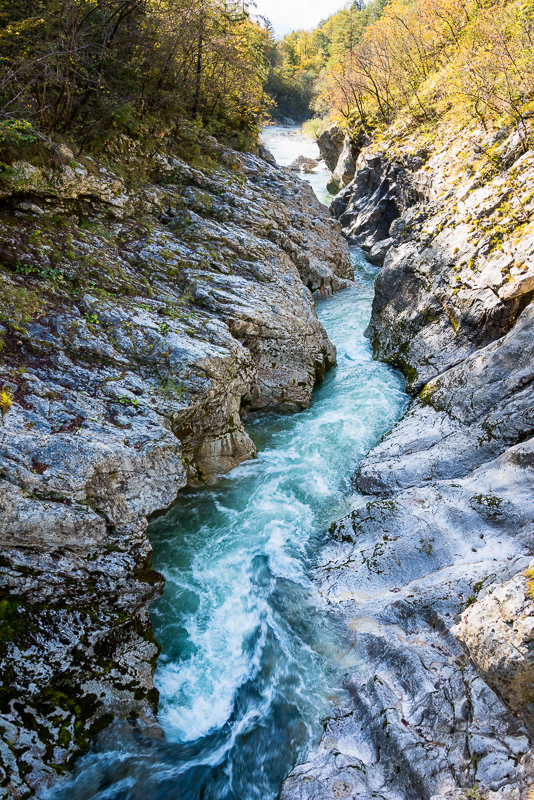 During spring, the fall is the most spectacular with a flow rate of up to 100m³/s. We didn’t continue the hike to the other viewpoints but if you are interested, check out the hiking map below and these two websites I found about the hike – here and here. Mount Svinjak (1,653 metres). 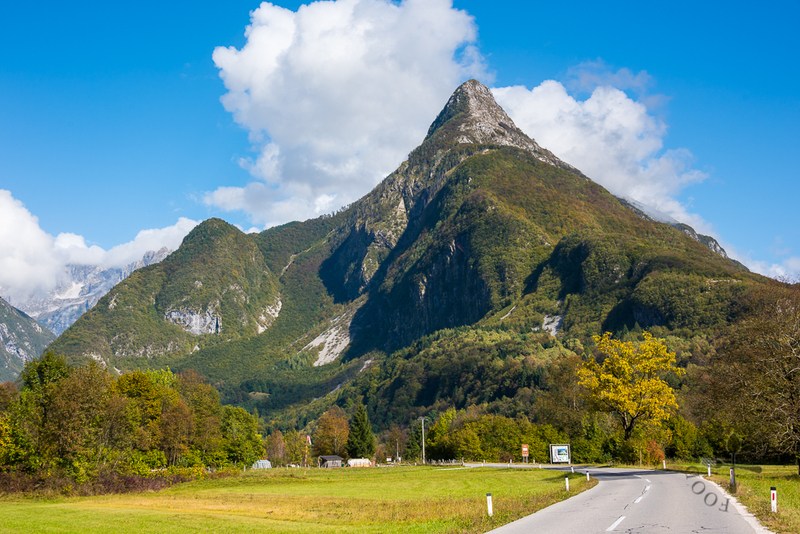 Its name is derived from the word “Svitnjak”, which means “shining one”, as it will be illuminated by the rising sun when viewed from Bovec. 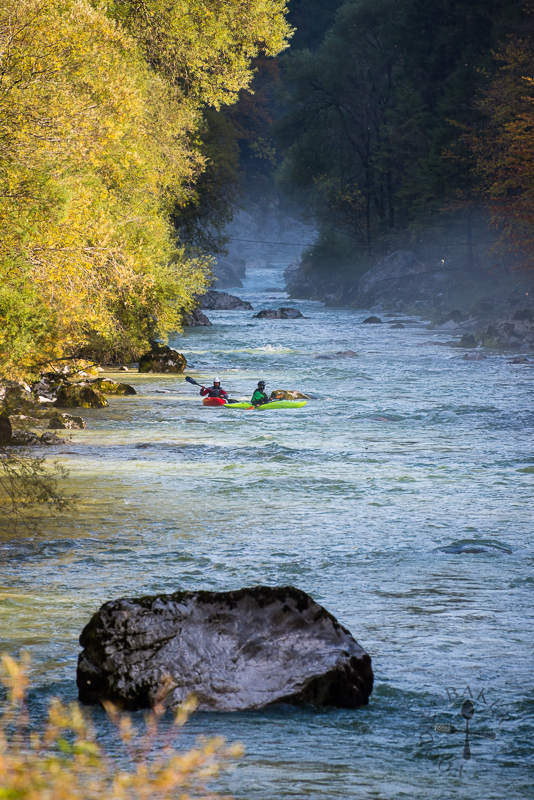 Besides having a rich history, Soča Valley is also a popular destination for water sports such as white water rafting, canoeing, kayaking etc. 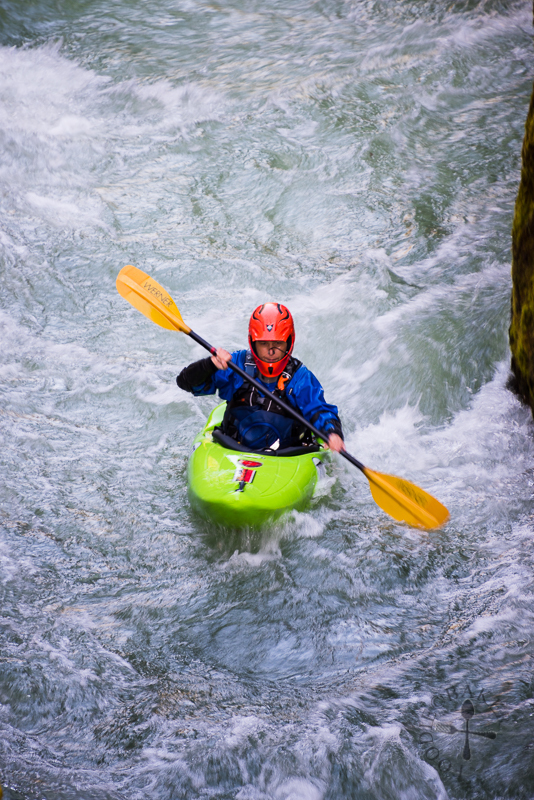 The water sports season is usually from mid-March to end of October, and different sections of the river offers various levels of difficulties. One of the most challenging and most popular sections is called Bunkerji (Bunkers), (around this area 46.333260, 13.593301). 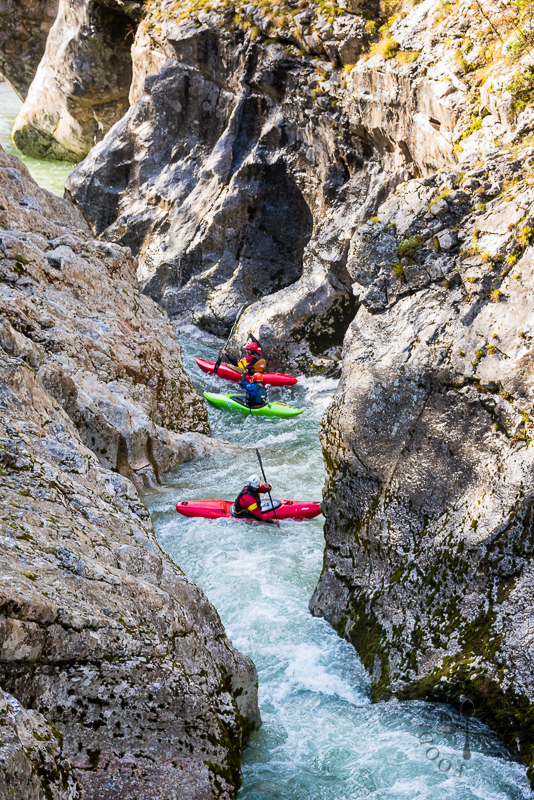 The waters here are rapid and the troughs are narrow (in certain areas only 1.5 metres apart), making this section adrenaline-rushing and thrilling. On the way to our accommodation! We stayed in Trenta Valley for the night as we would be doing a morning hike nearby the next morning. Trenta was first developed for iron ore mining in 1576, however, the mines were not profitable hence they were passed from owner to owner. After the mines closed down completely in 1778, the people who lived there moved to neighbouring villages and towns. The remaining families made their living by raising cattle, harvesting wood and hunting. In the second half the 19th century, people became more interested in the mountains and several Trenta men earned famed as excellent mountain guides. During World War I, Trenta was a temporary shelter for the locals forced out of their homes. It also received a large number of Russian war prisoners, who were building a road across the Vršič pass. Many of the war prisoners were buried on Trenta military cemetery with fallen Austrian soldiers. After World War II, Trenta experienced depopulation – the population fell from 873 in 1921 to 144 in 2002. Trenta enjoyed a slight tourist boom in the 1960s but largely remains a hidden treasure today. 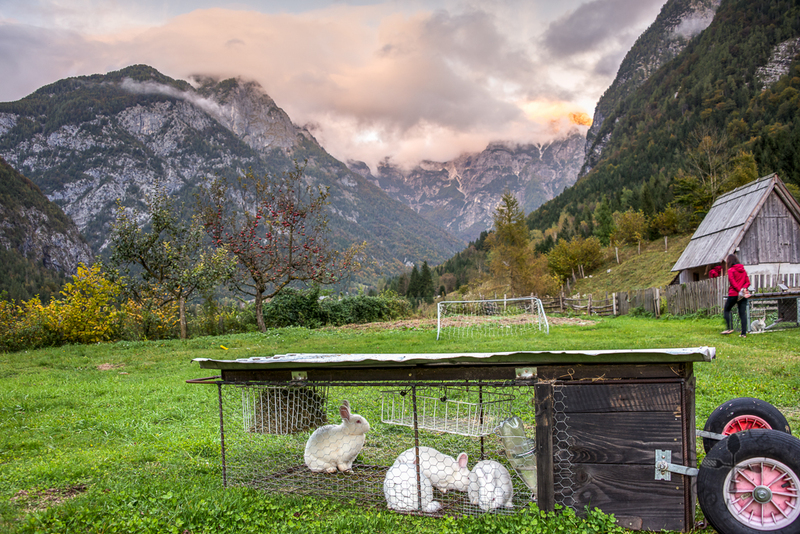 There are several types of lodging in Trenta Valley – apartments, private rooms, tourist farms, campsites and mountain huts. 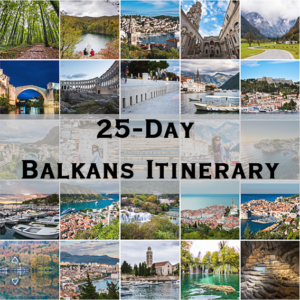 The tourist website has a list of accommodation (link here) with contact details so it’s easy to find a lodging that suits your needs. 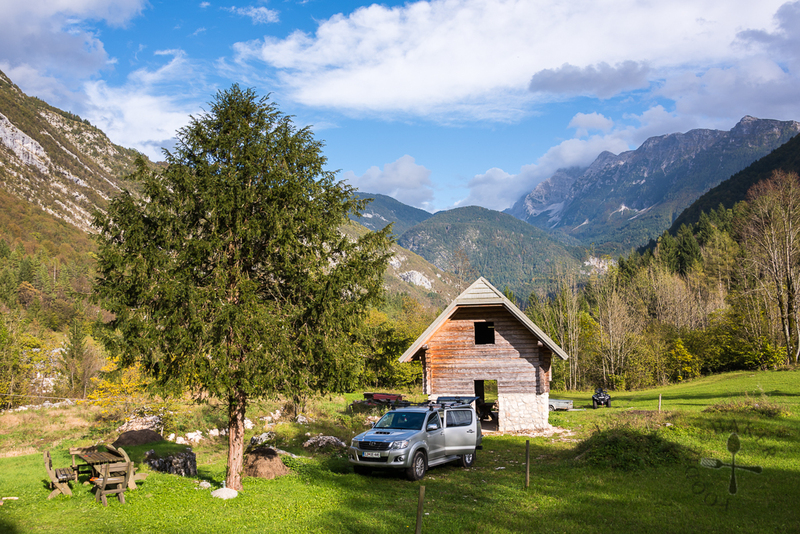 And that’s it for our drive along the Soča Valley! I’ve embedded a map of our driving route with the places of interest should anyone be interested. 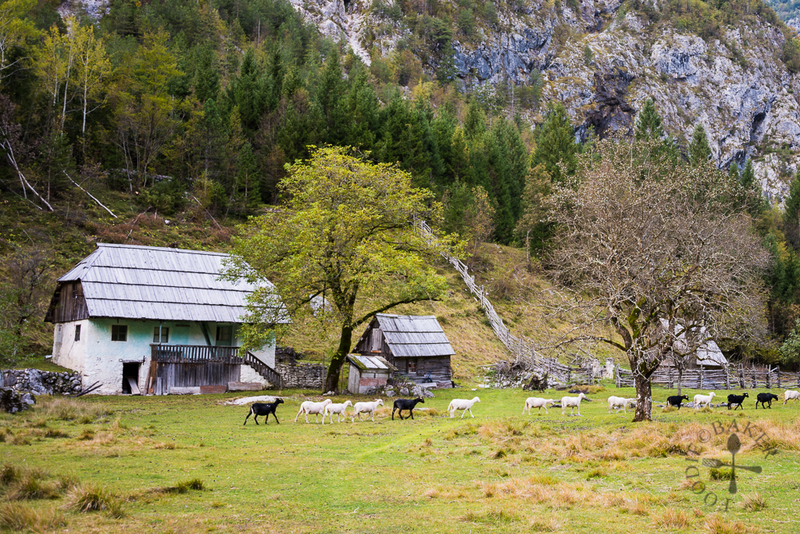 Will be sharing a fun hike to the source of Soča River next, stay tuned!